Photo of two wagon racers. Found in "Photo Craft" by Leslie Linsley and Jon Aron. Published by Delacorte, 1980. I will have to be more mindful of the bookmarks I use and leave in books. The magazine subscription postcards I use just aren't up to snuff! 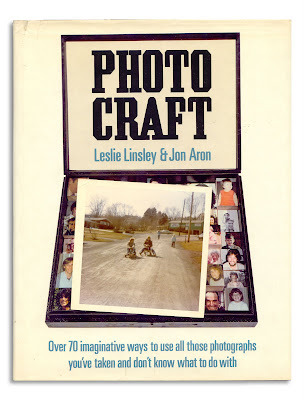 Can't wait to find the Photo Craft book! But on the subject of photos found in books, if the book you found it in came from the library (as all my books currently do), please return the photo with the book to see if the owner can be traced. Books we love can be replaced - often photos can't and someone may be deeply sorry to have lost the one you found.